Welcome to the wonderful world of Sushi and Tapas. Sample a feast of writing from around the world. 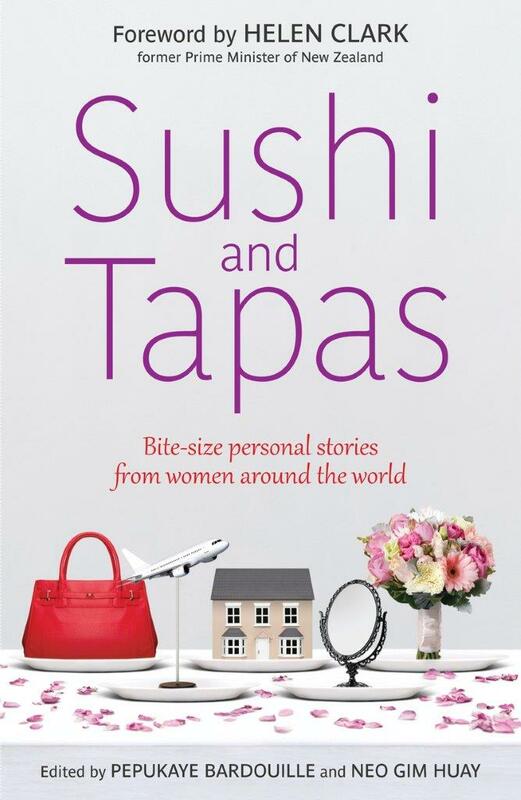 From China to America, Europe to Africa, 25 women write, delighting and shocking you with their real-life experiences.What is it like to be a top student in India, only to be married off to a brute in Canada by arranged marriage?How does one behave as the only black female in a boardroom of white men in South Africa? How does one deal with attending a London red carpet opening of a film, immediately after being raped? And let’s talk about being fat, being free-spirited, being in a long-distance relationship, being a mother. Being a modern woman. Edited by Neo Gim Huay, a Singaporean, and Pepukaye Bardouille, a Dominican, Sushi and Tapas presents a wide range of extraordinary experiences that will leave you laughing and crying for more.